Chile, November 2015. 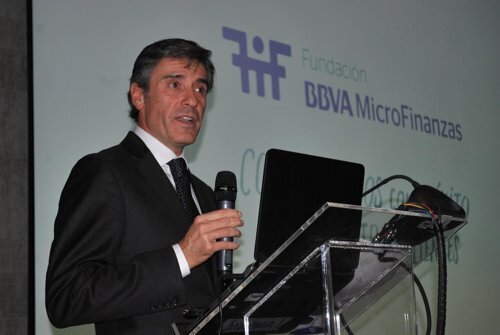 The BBVA Microfinance Foundation prepared an event to discuss on opportunities and challenges in the sector. The event gathered more than one hundred representatives of multilateral agencies, funds and social impact of microfinance institutions such as the Ministry of Economy of Chile, the Superintendency of Banks of Peru, the Inter-American Development Bank (IDB) , IMF, International Finance Corporation (World Bank), FAO, Inter-American Investment Corporation (IIC), Development Bank of Latin America (CAF) and GAWA Capital.